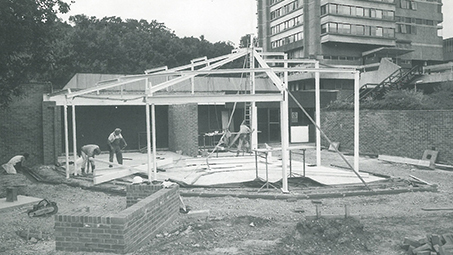 In 1967 a bequest was made to the University of Southampton that was to transform the musical landscape of Southampton. The bequest by Miss Margaret Grassam Sims made provision for a hall to be built for the people of Southampton. 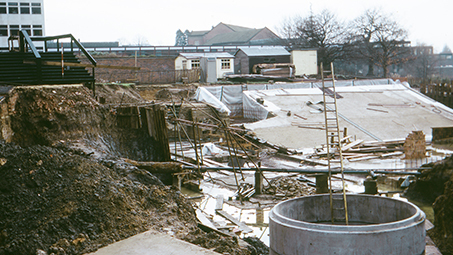 In response to strong local support for classical performance at the time, and to allow the University Concert Society to flourish beyond the bounds of the Nuffield Theatre, it was a concert hall that was decided upon. Turner Sims opened in 1974 with a programme of 20 concerts and rapidly became a popular and well-used venue, with a loyal and supportive audience. The programme gradually became more diverse, responding to new communities and new music. 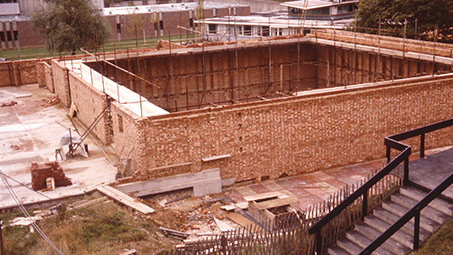 1994 saw the construction of the Bernard Miller Foyer after a major fundraising campaign. It vastly improved the experience of artists and concert-goers alike, and added an atmospheric bar area that could also serve as a daytime space. A timely and greatly appreciated anonymous donation was made just in time for Turner Sims’ 40th Anniversary and the auditorium was refurbished in the summer of 2014. The refurbishment was Phase 1 of a programme of substantial improvements, including the purchase of 356 new fixed chairs and 130 free standing seats. 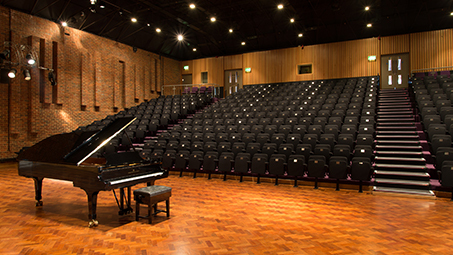 The auditorium had to be emptied for the seat replacement, so the chance was also taken to replace the carpeting – now a vibrant purple – and to install new fittings, doors and curtains. It also allowed for major improvements to the house lights – a new programmable system of energy saving LED lights was installed. We hope all of these changes have improved and prepared the auditorium for many more years of concerts. Turner Sims is provided by University of Southampton and gratefuly acknowledges the support of Arts Council England.